Earth to Echo is beaming down to Blu-ray and DVD October 21st! Earth to Echo is a tale told through the eyes of Tuck, Munch and Alex, a trio of pals who make an out-of-this-world discovery. The best friends venture out of their neighborhood to find the true meaning of friendship. After receiving signals on their phones, they meet Echo, a small, but amazingly energetic, alien trying to make his way back to his home planet. As they race to help their new friend, the boys will discover that little Echo has touched their hearts in unexpected ways and changed their lives forever. To prepare you for this adventurous, exciting and heart warming film, here is a compiled a list of the best ways to spend time with your friends- outside and away from your cell phones! There is nothing like starting a sports pickup game with all your neighborhood friends. Between sitting in class all day and coming home to do homework, a quick game, whether it is hockey, baseball, basketball or soccer, will let you use up some of that energy you’ve been storing! Not only this, but this is an awesome way to make new friends. With your parents permission of course, take a cruise around the neighborhood with your friends! Also, make sure you wear a helmet. You can use your imagination and make fun adventures out of your journey! A neighborhood game of Hide N’ Seek is the ultimate outside activity. With permission from your parents, and of course, using the buddy system when it comes to hiding, Hide N’ Seek is sure to be an awesome time. 4. Backyard Campout Ask your mom and dad to set up a backyard camp out for you and your friends! Start by setting up a tent and marking your territory with your sleeping bag! You can spend the night telling scary stories and eating S’mores. The most underrated outside activity has to be chalk! It is so much fun to create fun pictures and even games with all your friends. You can play hopscotch or tic-tac-toe or use your imagination to draw wonderful pictures. 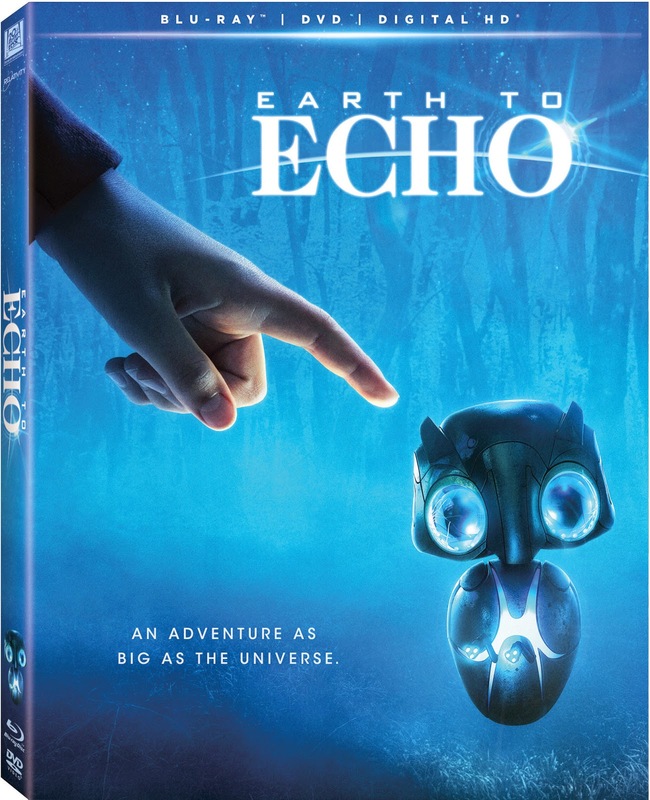 One person will win Earth to Echo Blu-ray/DVD Combo Pack. We like being outside in our garden or playing around in the yard. Even when the weather gets cooler, we like being out and enjoying nature. We love to play tennis when the weather is nice! We enjoy riding bikes and going to the park. We love to go walking together. We like to go for walks on the trails near our home. We like to have cookouts and my daughter and I like to go for a daily run. We enjoy riding bikes as a family! We like to go for walks and play volley ball. My family and I enjoy fitness walking and swimming in the summer. My family enjoys softball, corn hole, ladder golf, and picnics! Our family loves going for bike rides together, camping and hiking. We enjoy spending the day and the beach and taking walks. We love going to the beach or the waterpark. We like to go on hikes. It is nice to enjoy nature. Thanks for having the giveaway. We like going for walks! We like to walk to the park. We love to ride bikes and scooters. We enjoy swimming and bike riding. My family really enjoys taking long walks in our neighborhood! We love to play softball. We love just being outdoors! Mmwe aren't terribly athletic, but we do love walks through the leaves in the fall, frisbee games all summer, and sledding or building snowmen in the winter. we like to swim, play frisbee at the local park, and go for walks. One of our favorites is feeding the wildlife outside in our yard and sometimes scenic nature walks and swimming and canoeing and yard games like badminton. CONNIE SOWARDS commenting: We enjoy playing badminton. My family loves going to the beach! My family likes to go hiking.